This site is striving to provide history of Royal Rangers for future generations of Royal Rangers. As those who started Royal Rangers age, we want to capture their knowledge now. As of Wednesday, March 27, the RRH website is partially updated. The ISP turned off the site because of some issues they felt were happening with file storage. They are not liking the "large historical files" that are saving the historical documents from all districts. They stated that the site should not be a repository for files. Because of the files, they have required all files to be removed. We are working on getting a better solution and will get the site up as we go along. In the meantime, if there is anything you need, please email us at history@ntxrr.org and it can be sent to you. Thanks for helping us get thru these issues. If you have ideas of other methods, please email us. The historical information is safe and just in the process of reducing file sizes where required. We will be concentrating on the patch pages first and then the documents after we are complete with the patches. The Royal Rangers contributor patch is an idea we are trying to see if we can get leaders to start submitting any type of Royal Rangers historical items to the Royal Rangers History website. We are looking for all types of Royal Rangers information: patch scans/photos, PDFs of documents (event packets, staff lists, Royal Rangers publications, newsletters, etc. ), and photos of significant historical interest (photos of national/regional/district leaders, photos of national/regional/district events). This contributor patch is an idea we are starting in 2019. For those who have contributed in the past, thank you for helping so far. Now you can get a patch by submitting additional historical items during 2019. We are starting this on March 1st, and it will last until the end of December (or until we run out of patches). These are the current guidelines that will be used for receiving a patch during 2019. We will only be able to present one patch per person. For 2019, the following criteria will determine if you earned a patch. However, please keep in mind that we receive a volume of information and it is processed in first come, first serve order. Therefore, if you submit something and it has already been submitted, it will not be counted toward your total. When submitting your history, please make sure you let us know as much as you can about the item. We need would like the following at a minimum: where it is from (district, section, outpost), name of event, and year. Please be as descriptive as you can be, and we will post the information online in the appropriate area of the History website. Twenty (20) missing photos/scans of awards, event patches, medallions, etc. that are currently missing from the online system. If you submit an item that has already been received, but just not placed online yet, it will not count. Images must be clear and complete. No partial images. Identify the region/district/section, name of event, and year of the item. One (1) complete staff listing with the district or region identified. Please include the start date - end date for the position. If position is current, please provide start date/year and say "current" (if still in position this year). Ten (10) photos of district, regional, or national items (like belt buckles, bolo ties, mugs, t-shirts, caps, etc.) not on the website. 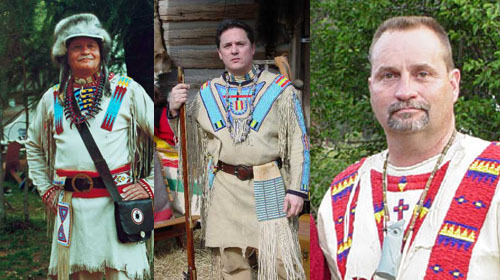 Anything Royal Rangers related is historical and it would be great to capture the above. Information the history support team gathers does not count towards anyone’s totals. We are constantly scanning the Internet for items to add to the site. Everything to be considered must be emailed or mailed to us. 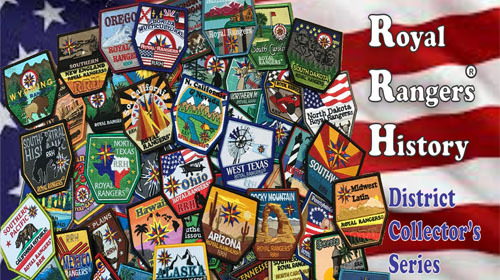 There were only 100 of the RRH contributor patches created and it is understood that everyone will not be able to receive a patch. Remember, the site is "Preserving History for Future Royal Rangers!" Since this is the first time we are offering this patch, we may have to allow other combinations be approved that we have not thought about. If you have other ideas, please feel free to share them with us. You may have other types of information that we have not thought about that would benefit you on receiving a patch. 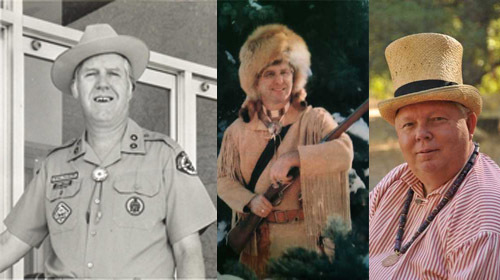 The designs for the National, Regional, and Denominations having Royal Rangers is now complete. Originally, they were going to be sold in 2020 but since the designs are done now, they are being made available. 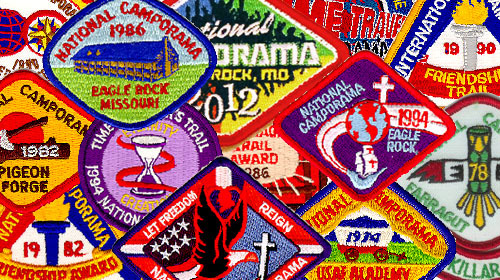 There are 19 total (6 national organizations, 8 regions, and 5 denomination patches who have Royal Rangers). Currently, these are pre-sales only. Once initial quantities have been determined, we will place the order and then start shipping when they arrive. All pre-sales orders need to be made by March 15th. This will allow the patches to be sent to the manufacturer in time to get them back in the June time frame. Just a reminder. Do not wait too long. Remaining patch sets for the RRH patch set are going down in numbers. If you wait much longer, they may be gone. The profit from all the sales will be used for Camp Eagle Rock and the new History Museum that will be built. Whether you purchase a complete set or just the monthly sets, they will be mailed. If you have not purchased the set yet, it is not too late. However, please remember, there are a limited number produced so please do not wait. We are currently working up requirements on how individuals can receive the 2019 RRH contributor patch. This is a limited patch that was produced so we will not have enough to last all year. There were only 100 produced. We are currently working on the final details on how individuals can receive one, however it will require more than just a couple of images. We are looking for content and wanting to recognize those who contribute to capturing RR history for future leaders to reference. The one thing we have discussed is that contributions would need to made during the year on the patch (2019). There is lots of information out there so it will not be hard for those truly wanting to receive a patch to start gathering documents, patches, staff listings, etc. from their districts or other districts. We ask that anything be submitted is named appropriately (district, event, year, etc.). With the volume of information we receive, we will not have time to research where the information is representing. We know there are some who have contributed in the past, but this is a new encouragement for 2019. Take a look at your district page and see what you have to contribute. We know information exists out there so please do not hold back. Feel free to fill up our inbox (history@ntxrr.org). Please send high resolution images if they are photos, patches, etc. As you look thru the site, if you see subjects or areas we are missing, let us know and we can modify pages quickly. What is out here so far is just the start. At this years Northeast Regional Empower conference, they displayed their Royal Rangers Historical items. Take a look at their fantastic Royal Rangers history displays. If you are interested in purchasing one of the Royal Rangers History patch series, now is the time. They have arrived and extra sets are going fast. If you wait much longer, they may be gone. The profit from all the sales will be used for Camp Eagle Rock and the new History Museum that will be built. Whether you purchase a complete set or just the monthly sets, they will be mailed. If you have not purchased the set yet, it is not too late. However, please remember, there are a limited number produced so please do not wait.